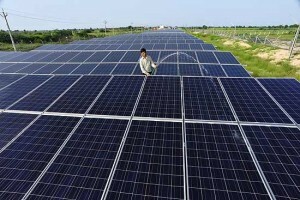 The Japanese electronics giant Sharp has seen its revenues from solar sales double in the first quarter of 2013 to almost $850 million, as Japan is all set to become the largest/ 2nd largest market in the world for solar panels. Japan has been seeing a huge surge in solar panel demand as the fixed feed in tariff given by the Japanese government for electricity generated by solar panels is leading to crazily high returns. Every big Japanese company whether it is a gambler, oil and gas, telecom company etc. is jumping into the solar plant construction business. Not only are the large mega megawatt solar farms booming in Japan, but also residential rooftop solar installations. Sharp has been battered in all its businesses by competition from the Asian countries such as Korea and China. Sharp has seen its display and electronics business erode due to competition from Samsung and others. In the solar energy segment too Sharp has seen its numero uno position in solar panel sales, being decimated by the Chinese solar majors such as Yingli Green Energy (YGE). Sharp has already decided to get out of a number of markets in solar energy and is also shutting down some of the unprofitable solar panel capacity. The company is in talks to sell a portion of itself to Taiwanese EMS Hon Hai. Samsung has already taken a small equity stake in Sharp to provide the much needed equity. Sharp has now gotten a great tailwind in the form of the Japanese solar boom but I don’t think it will last too long. Sharp cannot compete in costs with the Chinese companies and the only major reason for its doubling of sales is the domestic Japanese market, where it has the home market advantage. Once the boom peters out, Sharp will again see its sales dwindle. 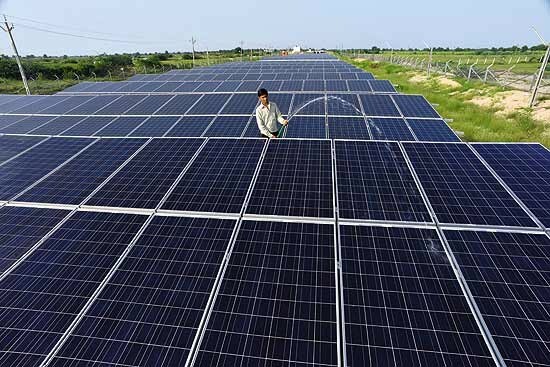 The company manages to sell its high cost panels mostly in the Japanese market and has been edged out in other developed markets. In the booming countries like China it has no market share to speak of. While the yen deprecation might help save the company, it is hard to see a future for Sharp in solar panel manufacturing.